A survey has shown that 90 percent of people thought that custom content is a good way for brands to engage their customers. Therefore creating relevant content for the target audience is important. With content being the ultimate king of most digital marketing strategies, content curation becomes crucial to help you to find topics that are not only trending, but also interesting. 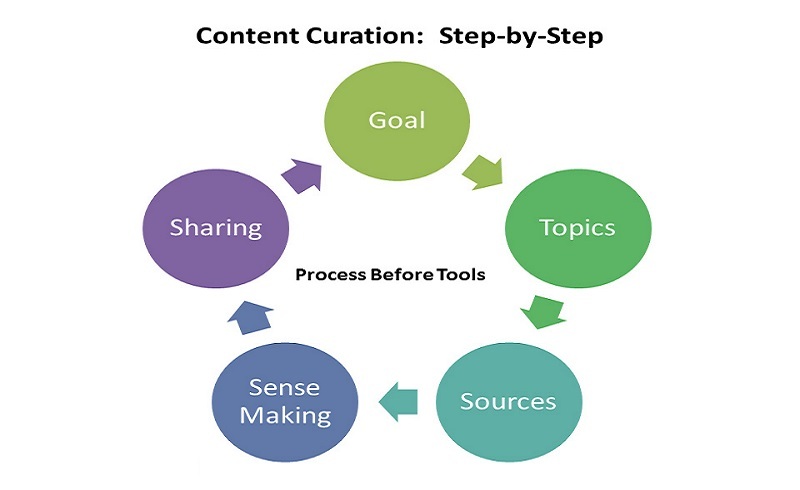 However, the process of content curation does not end here. You need to know how to share the content strategically through all the social media tools for maximum exposure. Content curation is essential for your business as it helps to build trust among your prospective customers and thus builds brand value. Curating content can be a tricky process but there are many tools available in the market to help you with content curation. Here is a list of the most popular tools that you can choose from. When it comes to content curation, Pinterest is the best online tool that lets you curate pieces of content by pinning them to a pinboard. You can click on the link on the image and go to the content source. Pinterest is considered the best for the visual treat that it has in store for you. The tool is a free one, and you can share the content on various social platforms. BuzzSumo is one of the most popular content research tools that come with unique features. The tool lets you see how many times a particular content resource has been shared. This helps you understand which content is more popular and preferred among the crowd. All you need to do is to type with a domain or keyword, and thousands of relevant resources will be shown to you within seconds. Scoop.it is one of the best content curation platforms where you can pick a topic. The tool also provides additional topics that are relevant to the chosen topic. Scoop.it uses specific keywords to come up with unique content. The tool is known for its highly visual interface and its agility when it comes to finding content. You can use their free plan or the paid version for advanced features. Curata offers content curation using domains, keywords, and phrases. They deliver the most relevant content for your business for distribution by adapting to your preferences. You can also add your perspective to the curated content and the tool is useful for essay typing. When it comes to content marketing, Feedly is a great content curator tool that can help you to stay on top. The tool is very user-friendly and can be integrated with the various social media platforms like Facebook, Twitter, LinkedIn, Pinterest. You can use 100 feeds for free. Triberr offers content curators the ability to discover great content. You can form tribes with other similar content sharers and use Triberr to promote the content of one another. When you join a tribe, it becomes easier for you to find articles that are more relevant for your audience. You can share content directly to social media from your feed and engage other members on Triberr. It is a free tool, with 2 paid plans. While the Prime Lite comes at an $8.50 a month and offers only 7 tribes, the Prime subscription is for $350 a year and gives you 21 tribes. This tool gives you content suggestion and searches through an extensive database of third-party content on the web. From insights and trends to valuable information – you can get the most relevant content on Quuu. You can also segregate your preferred content in the library to use them as a reference later. The links that you want to share are at your prerogative. You can also link your social media handles to share their content directly without any hassle. You can also promote your content through QuuuPromote. One of the best-known tools for content curation, PublishThis uses keywords, topics and places to deliver relevant content. You can monitor the content and distribute it through your own social media platforms. The tool offers a unique feature of tagging system to understand what content works well for your company. This tool lets you store articles that you can use for reference later. Pocket lets you gather content links that are trending. However, the best feature has to be the Mobile-friendly version that the tool comes with. What is more? You can also save images and video that you think is relevant. A favorite content storing platform among many marketers, you can use Pearltrees to discover and store content related to your own interests. You can also discover articles & resources that have been shared by other users. With Pearltrees, you can see through content that others are curating. You can share content directly from Pearltrees or you can also install a Pearltrees extension for better features. The only downside to this tool is that it is a paid tool with plans that start at $2.99. However, you can also use their 14-day free trial before buying the tool. Content curation helps you pick the most relevant trends in the content marketing scenario and distribute them appropriately. The tools mentioned above enable you to curate content quickly and help you make the content marketing strategies of your company a success story. NEXT POST Next post: When To See A Doctor For Hair Loss?